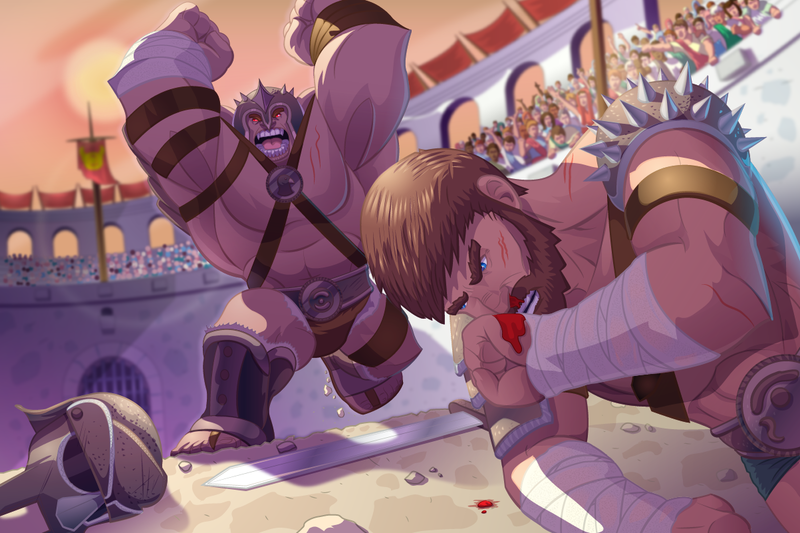 The Arena The idea of the underdog is an alluring subject matter that has played out in countless stories. We cheer them on and root for them to defeat their overpowering nemesis. I hoped to capture this in this illustration. The underdog is down, but is he out? I’d like to think it plays out exactly like we’d hope, with the underdog, victorious. This piece was illustrated as vector art in Adobe Illustrator on a Wacom Cintiq.